The villain is often overlooked in movies. Truly great stories need a memorable villain. Sometimes the villain is so compelling that he or she even overshadows the hero. Some actors make better villains than others. I decided to make a list of actors that make great villains. Some have tried their hands at serious and even sometimes heroic roles. Where these actors really shine is when they are portraying truly immoral characters. 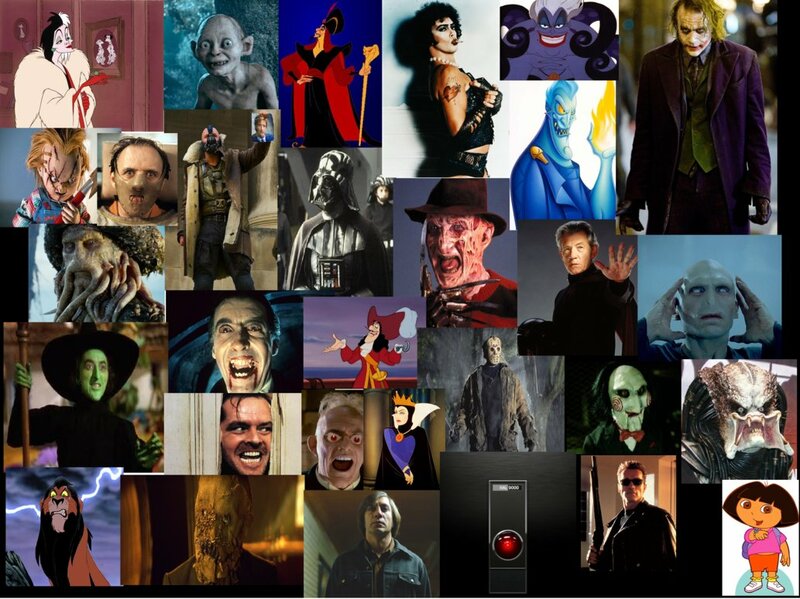 Here is a picture of my all time favorite actors, notable for their portrayal of villains.